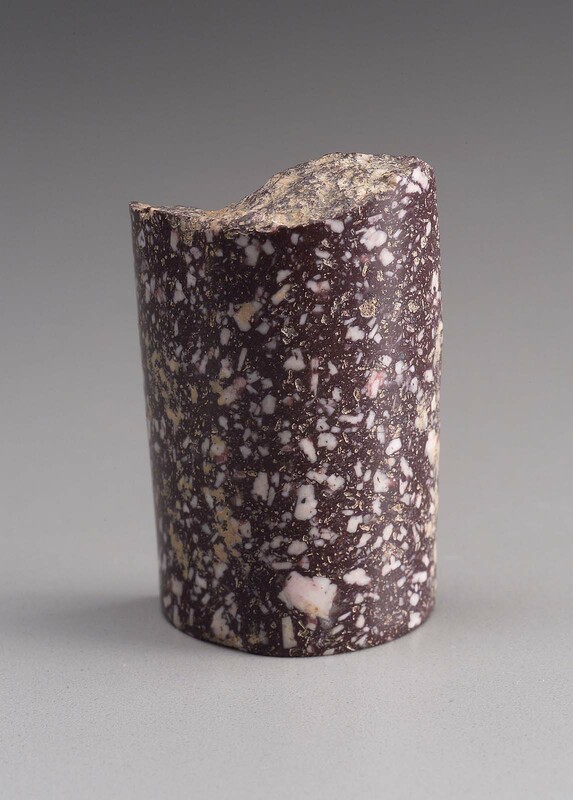 Cylinder frag, highly polished, convex surface, purplish red, white flecked. From Beg. North, Pyramid 8. 1921: excavated by the Harvard University-Museum of Fine Arts Expedition; assigned to the MFA by the government of Sudan.